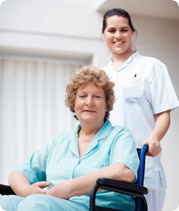 A-1 Home Care is a non-medical caregiver placement agency that specializes in a variety of in-home care services. We have a diverse range of caregivers, nurse aides, companions, babysitters, and mother’s helpers who are able to provide 24 hour live-in care or hourly part-time care on a short term or long term basis. 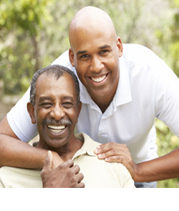 We offer experienced, compassionate, and compatible caregivers for almost any care situation – offering services such as Alzheimer’s Care, Parkinson’s Care, Arthritis Care, After Surgery Care, Diabetic Care, Cancer Care, Incontinence Care, Respite Care, Hospice Care, Child Care, Special Needs Care, and Postpartum Care. In addition to providing companionship and personal care to your loved one, our caregivers can also assist with carrying out daily household tasks and duties. Our service area spans Costa Mesa, Newport Beach, Corona Del Mar, Fountain Valley, Westminster, Huntington Beach, Seal Beach, Los Alamitos, Irvine, and other cities in Orange County and Los Angeles County. All of our homecare professionals must have prior experience, verifiable professional references, a National Background Check and DMV Check, Tuberculosis screening, Malpractice/Liability insurance, First Aid/CPR training, and a personal interview with our office staff. 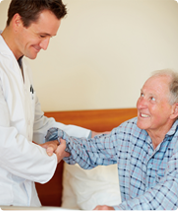 A-1 Home Care has been in business since 1991 with an A+ Rating from the Better Business Bureau, Shield Accreditation, and frequently receives client referrals from local hospitals such as Hoag Memorial Hospital, College Hospital, and Kaiser Permanente. If your loved one has long term insurance coverage, we accept Penn Treaty, CALPERS, John Hancock, Bankers’ Life & Casualty, Veteran Administration, and MetLife Insurance.